Paddy's Sports View: When charges of corruption in sport are made what should a commercial sponsor do? A personal story. When charges of corruption in sport are made what should a commercial sponsor do? A personal story. 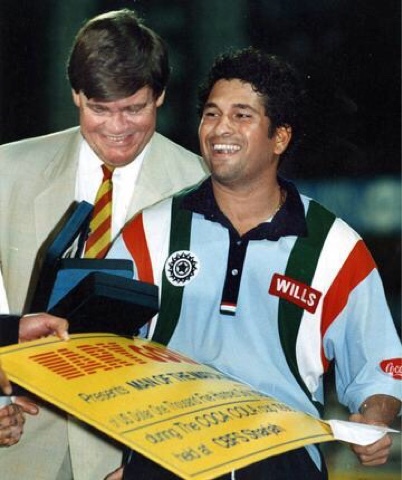 Fifteen years ago I was responsible for Shell's sponsorship of the Sharjah cricket tournament. It was, in the context of big global sponsorships, small beer. But in the Middle East and especially because of TV coverage in South Asia, it was a valuable commercial activity where the returns well exceeded the modest cost. "Sharjah has been pinpointed as being the centre of this activity [match fixing] and, again, this is entirely plausible. I. would swear under oath that two of the dozen or so matches I have witnessed on that desert ground over the years were fixed: both of them by Pakistan." "They have implemented whatever we recommended. I am happy with the measures taken here (Sharjah) to prevent silly access to potential corrupters,"
My own view is that there was something of a cover up going on for reasons that are unclear. Certainly the focus on "corrupters" - referring to Sub-Continent illegal bookmakers - was only part of the problem. To fix a match or events within a match you need more than crooked bookies - you need crooked players and/or officials as well ! From 2003 for seven years no more One Day Internationls were played at Sharjah which may be a coincidence, or it may not !